Recent years have called into question the idea of an interconnected, open world in which goods, capital, people and ideas can move across borders, seeking more choice and opportunities, and faster innovation. Brexit, a shift in US policy toward protectionism, and a rising tide of populist parties riding a wave of anti-global, anti-immigration sentiment made 2018 another year of headlines about the imminent death of globalization. But obituary writers shouldn’t start hammering out their stories just yet. Concerns must be taken seriously, but fear is a poor basis for making decisions. Ultimately, it’s not the sentiment indicators or headlines, but the hard figures that tell the real story. 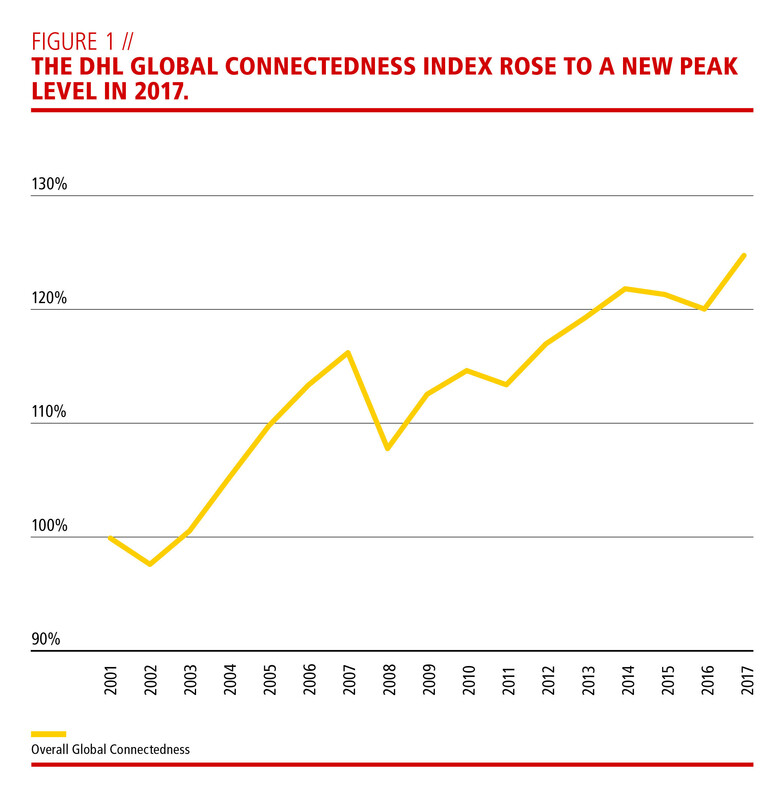 And that fact-based narrative reads quite differently, as the new edition of the DHL Global Connectedness Index (GCI) shows. The latest GCI study, authored by Steven A. Altman, Pankaj Ghemawat and Phillip Bastian of the New York University Stern School of Business and the IESE Business School, will be released on February 12th. It shows that global connectedness actually reached new heights in 2017. For the first time since 2013, flows of trade, capital, information and people have all intensified. 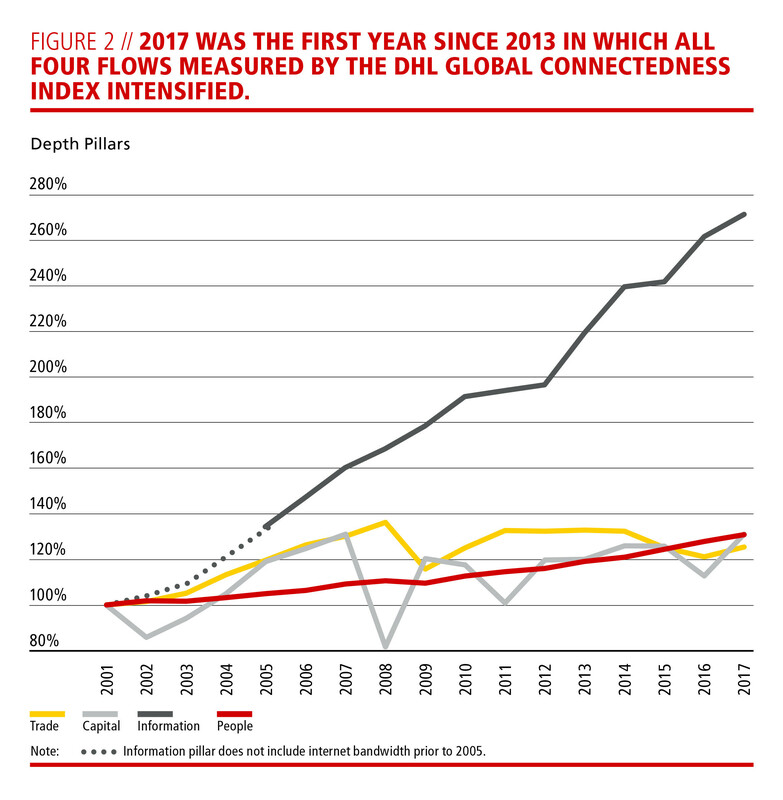 The largest driver of increases in global connectedness since 2001, information flows, almost tripled in intensity from 2001 to 2017. But global trade also held up well. Following a multi-year decline, the share of economic output traded internationally rebounded in 2017, with trade in both goods and services increasing. Fuelled by strong economic growth, merchandise trade volumes actually experienced the fastest growth since 2011. The most recent data show that trade has slowed, but continued to expand in 2018, despite the newly rolled out tariffs. Additionally, the latest DHL Global Trade Barometer also projects continued, if somewhat slower, trade growth for the seven major countries it covers. Globalization may not be unstoppable, but it clearly hasn’t stopped yet. That’s good news because globalization has been an unparalleled source of prosperity, freedom and development over the past few decades, reducing poverty, providing better healthcare, education and economic opportunity to billions of people and leading to an unprecedented accumulation of global knowledge and insight that can be used to improve the lives of future generations. And yet the world is actually still much less global than many think, and than globalization’s opponents would have us believe. Again, the hard facts tell a story that may surprise you. According to the latest GCI report, only around 29% of economic output around the world is exported. Adjusted for exports that cross borders more than once, this figure shrinks to roughly 20%. And when we look at the 7% share of foreign direct investment (FDI) flows in gross fixed capital formation, we can see that only a small fraction of business investments are made across borders. Just 7% of phone calls (including calls over the internet) are international, and a mere 3% of people live outside the countries where they were born. The list could go on. Whatever indicator we look at, the message is the same: the large majority of flows that could take place either within or between countries are still domestic rather than international. Perhaps equally surprising is that international flows remain very focused. They are constrained not only by geographic distance, but also by cultural and political differences. In fact, as the GCI data show, the majority of international activity takes place within roughly continent-sized regions, rather than between them. What’s more, about half of all cross-border flows take place between nations and their top three countries of origin and destination. Despite enormous advances in transport and telecommunications, for many countries, nearby neighbours remain their largest trade partners. One of the most striking findings from Professor Ghemawat’s two decades of research on this topic is that many people greatly overestimate the level of globalization. In repeated surveys, a majority of respondents have been shown to believe that international flows are much larger than they really are. On an individual level, this tendency can nourish fears of losing out culturally or economically in a supposedly uncontrollable and anonymous, hyper-globalized environment. On a company level, it can limit the ability to forge an effective strategy that combines a global perspective with an emphasis on local strength. In the public policy sphere, it can mean that leaders underestimate the potential gains from closer international ties, and overestimate globalization’s harmful side effects. Focusing disproportionately on single issues such as trade balances or immigration carries the risk of overlooking the new and more complex reality of a rapidly transforming, digitally connected world. Consider immigration, the issue that topped some 2018 polls on public concerns in Europe and the US. On both sides of the Atlantic, people believe that the proportion of immigrants living in their countries is twice as high as it really is. When these people are told the correct numbers, the share of survey respondents who view immigration as a problem falls substantially. Correcting misperceptions about global interconnections can help to mitigate concerns about globalization and foster a more constructive, fact-based discourse. Such an approach will help companies and countries better navigate the current environment with all its risks, uncertainties and opportunities. Globalization may be under threat, but the knowledge flows driving today’s global economy and technological advances are, in my opinion, too strong to be stopped by tariffs and walls. The global exchange of ideas, technologies and talent is the only realistic chance we have of mastering the environmental, social and economic challenges facing our world. In an increasingly connected, yet increasingly multipolar world, international ties and cooperation are more important than ever to maintain security, and to enable shared and sustainable progress. The economic potential is enormous. The ability of businesses of all sizes to reach new markets and tap into new customer groups will support economic growth around the world. Yet for now, fewer than 0.1% of all businesses have international operations, and only about 1% export their products or services. Even among the Fortune Global 500, the world’s largest companies by revenue, domestic sales still exceed international sales. 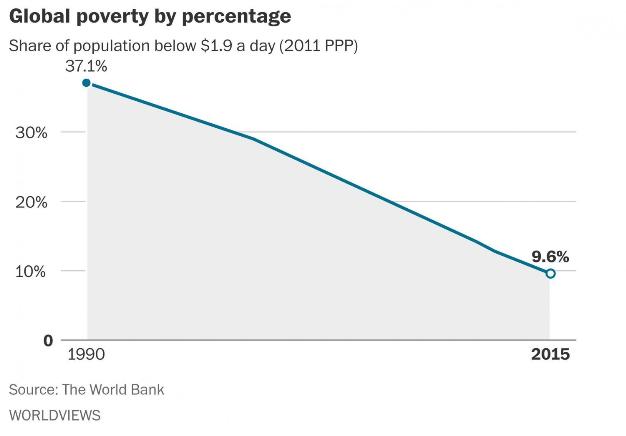 This shows just how much potential for greater choice, better access and more prosperity remains untapped. Every day, Deutsche Post DHL Group’s global network enables more individuals, businesses, and societies to participate in the global economy. To us, Globalization 4.0 entails an obligation to spread the benefits of global connectedness as broadly as possible. A more inclusive global marketplace will not only bring the world together again but will give more people a better future.